You will be surprised how much moister your boneless-skinless chicken breasts are when you give them a soak in this simple honey brine. Through osmosis, brining raises the internal temperature at which the moisture is forced out of a protein, resulting in much juicier meat. 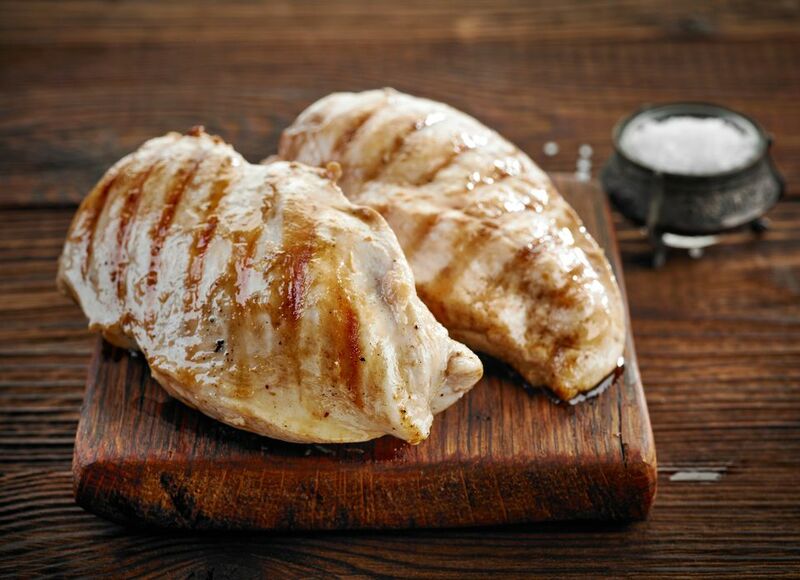 Once brined, the chicken breasts are ready to use in your favorite recipes. Add the water, salt, and honey to a 4-qt container. Whisk until the salt is completely dissolved. Add the chicken breast, and place a small plate on top to assure the chicken is submerged. Refrigerate for at least 1 hour, but no longer than 2 hours. Remove the chicken from the brine, and pat dry with paper towels. They're now ready to cook in any recipe that calls for boneless-skinless chicken breasts.